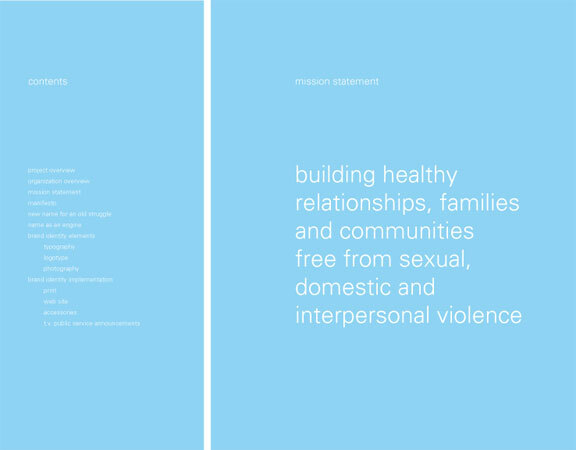 In 2004, my studio made a heartfelt decision to donate our creative services to ‘Los Angeles Commission on Assaults Against Women’, a non-profit, multicultural, volunteer organization whose mission is building healthy relationships, families and communities, free from sexual, domestic and interpersonal violence. We became the agency’s brand stewards and continue to lead them through their re-branding process. We helped them in repositioning their mission, gave them a new name and visual vocabulary so it more accurately represents the agency’s expanded mandate of not only intervening in sexual assault and domestic abuse cases against women, but also actively preventing violence through education programs for youth, including girls and boys, and informing public policy and opinion on a local, state and federal level. The re-brand launched on October 27, 2006 at their Annual Humanitarian Awards event in Los Angeles. That night the organization received 50% more donations than they have ever received since their existence. The work that follows is what we have accomplished with extremely limited funds, yet with tireless dedication of great men and women who believe that violence is preventable and peace achievable. See Peace Over Violence website. Creative direction and design: Rebeca Méndez. Research, strategy and copy editor: Adam Eeuwens. Research, design and production assistants: Gregg Dodds, Tyson Evans, Jenn Tranbarger, Ryan Weafer, and Roxane Zargham. Denim Day in LA, 2007. Public Service Announcement. With UCLA students: Jose Gabriel Noguez, Sarah Kim, and Luca Barton. Text by Charles Hall, NY. 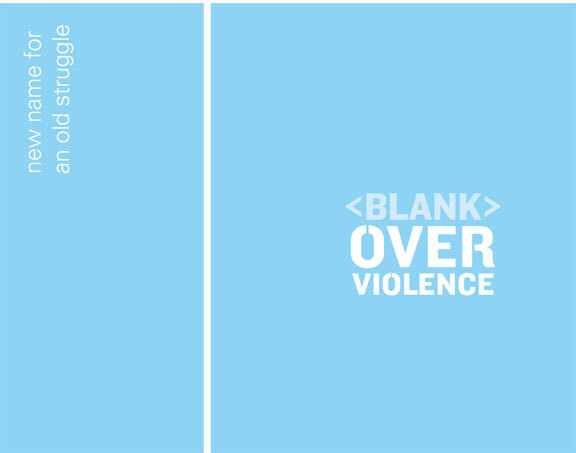 Peace Over Violence, Brand Book.